The Potomac Nationals (24-18) were able to avoid a heart-breaking defeat for the second consecutive game against the Wilmington Blue Rocks (18-27) on Wednesday. With the bases load and nobody out in the bottom of the ninth, 3B Jake Noll hit a sacrifice fly to left field, scoring CF Blake Perkins from third to clinch a 6-5 win for the P-Nats. Potomac opened the scoring in the third game of a four game series against the Blue Rocks with a two-run home run off the bat of LF Alec Keller (1) in the bottom of the first. Wilmington answered with a run of their own on an RBI single from CF Khalil Lee in the top of the third, the only run that they would score against Potomac starter Joan Baez (ND). Baez would not factor in the decision, giving just just one run on two hits in his 4.1 innings of work. The P-Nats grabbed a run back in the bottom of the fifth when DH Jack Sundberg crossed home on a wild pitch from Wilmington RHP Ofreidy Gomez. Sundberg started off the inning with a walk, moved to third on consecutive singles, and scored from third with Keller at the plate. Sundberg scored his second run of the game on a sacrifice fly from SS Carter Kieboom in the bottom of the seventh. The sac fly was the only at-bat in which the shortstop was retired in tonight’s game, as he set a new season high with a four-hit performance. In total, Kieboom went 4-4 with an RBI and a run scored. The 4-1 lead would not last for long, however, as the Wilmington Blue Rocks tied the game in the late innings for the second straight night. After working a clean 2.2 innings to start his outing, RHP Jorge Pantoja allowed the first three Blue Rocks to reach base in the top of the eighth. LHP Hayden Howard (W, 2-1) entered the game with the bases loaded and no one out to face 1B Chris DeVito. Howard struck out DeVito, but the strike three offering rolled away from C Jakson Reetz, allowing Lee to score from third on the wild pitch. With two runners in scoring position and one out, 2B Gabriel Cancel connected on a two-run double to the deepest part of the ballpark to tie the game at four runs a piece. After Howard picked up the final two outs of the inning, The P-Nats took the lead back in the bottom half of the eighth. Noll started the inning with a single, moved to third on a single from Reetz, and scored on an error on a ground ball hit by 2B Bryan Mejia to make it a 5-4 advantage in favor of The Red, White, & Blue. Howard returned for the top of the ninth to face SS D.J. Burt. Burt tripled to lead off the inning and scored on another RBI base knock from Lee to make it a 5-5 game. With the game once again tied, The P-Nats stepped up to the plate in the bottom of the ninth with the top of the order due up against RHP Matt Wynne (L, 0-1). Perkins opened up the inning with a walk and advanced to third on Kieboom’s fourth single of the night. After an intentional walk to Keller, the stage was set for Jake Noll, who played the role of hero with his walk-off sacrifice fly, his second walk-off of the 2018 season. The P-Nats have at least a series split locked up heading into the series finale on Thursday Night. Opening Day starter LHP Matthew Crownover (1-4, 5.13) will make his ninth start of the season, his fifth start against the Blue Rocks. Wilmington’s Gerson Garabito (1-3, 2.88) will take the mound looking to avoid a series defeat. First pitch at Northwest Federal Field on Thursday night is set for 7:05pm. The Potomac broadcast will get underway at 6:50pm with the P-Nats Leadoff Show. 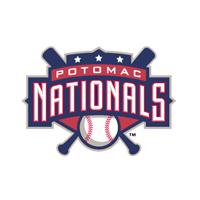 You can listen to the Potomac broadcast at potomacnationals.com or on the TuneIn Radio App.